While smartphone vendors have been able to cut power consumption dramatically in the past 10 years, most of those power savings has gone into making thinner phones with smaller batteries. So for heavy phone users that need a phone that can still last all day – or even longer – the best option has often been to pair a thin smartphone with a battery case in order to make up for the difference. 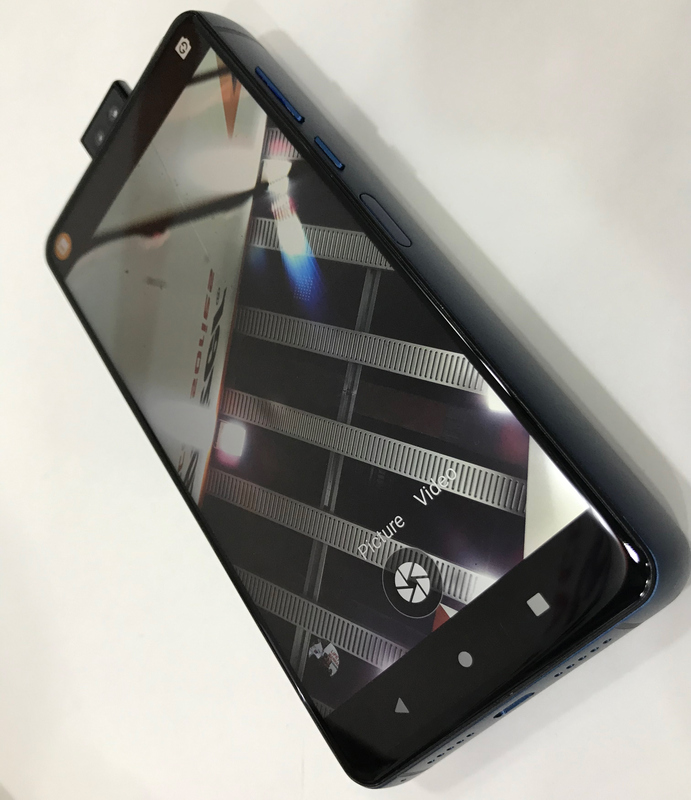 Every now and then, however, we still see someone release a phone with a large integrated battery, and this year at Mobile World Congress that someone was Avenir Telecom. 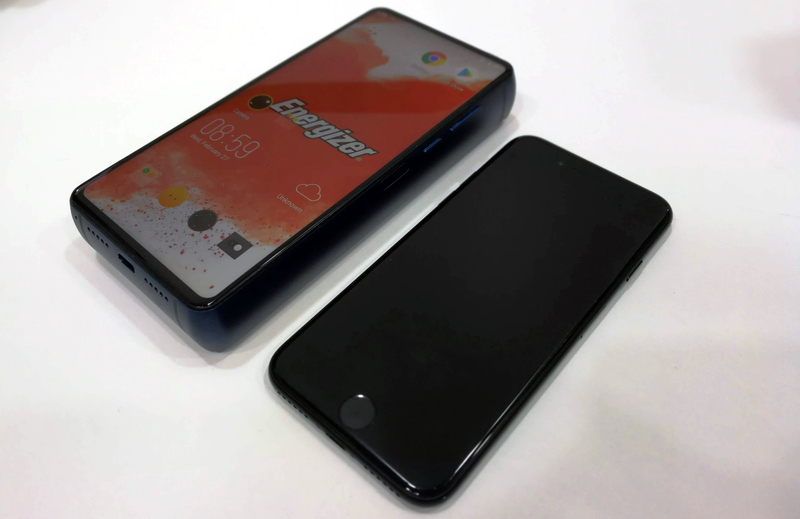 The company, which licenses the Energizer brand for smartphone use, was showing off its prototype Energizer Power Max P18K Pop handset, a premium-tier smartphone with a whopping 18,000-mAh battery. Unabashed about its size, Avenir says that the big-batteried phone will be able to sit in standby for 50 days or play videos for two days straight, all of which is far longer than today's typical smartphones. 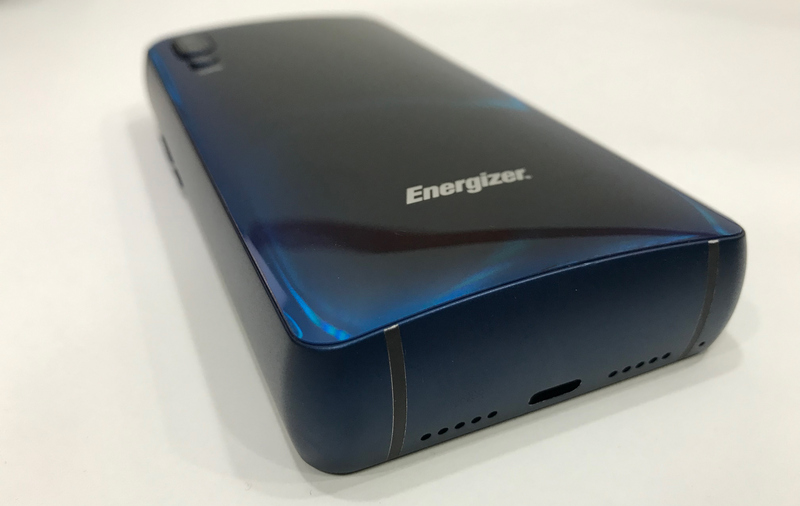 Equipped with a 6.2-Inch IPS display featuring a 2280x1080 resolution as well as its feature-defining 18,000-mAh battery, the Energizer Power Max P18K Pop looks an NMT-450 mobile phone from the nineties. Under the hood, the phone is based on MediaTek’s Helio P70 SoC (4x Arm Cortex-73, 4x Arm Cortex-A53, Arm Mali G72-MP3 graphics) and paired with 6 GB of RAM and 128 GB of NAND flash storage. Given the mobile platform, the device supports everything you come expect from a modern smartphone, including 4G LTE, Bluetooth 5.0, 802.11ac Wi-Fi, and so on. Meanwhile, there is a USB Type-C port to charge the massive 18,000 mAh battery. 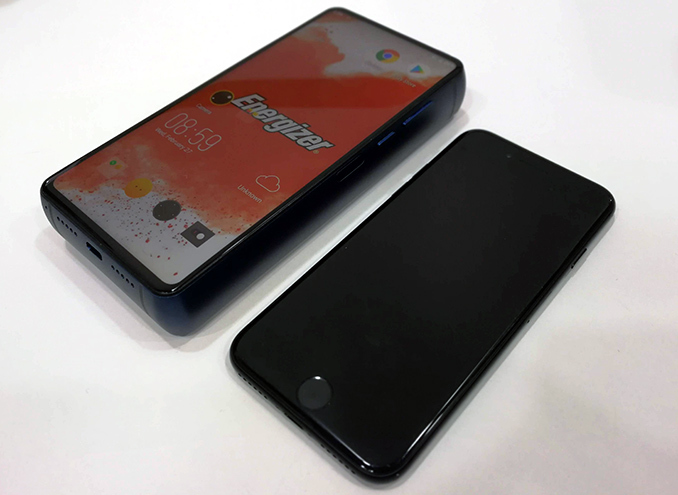 The imaging capabilities of the Energizer Power Max P18K Pop are also on line with modern premium handsets: a triple-module camera (12 MP + 5 MP + 2 MP) can be found on the rear on the phone. Meanwhile there is a pop-up 16 MP + 2 MP camera for selfies. 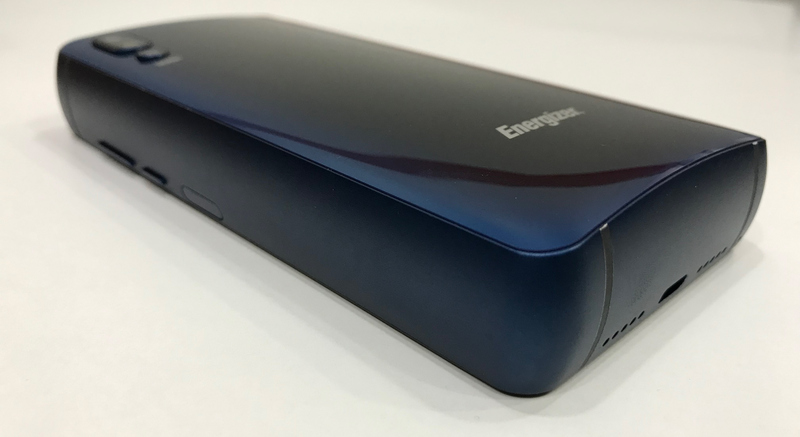 The Energizer Power Max P18K Pop will be available sometime this fall, likely with a staggered regional release schedule. The recommended price of the smartphone is expected to be around €599. If this is a 3.7V battery, that puts it at about 67 Wh. That's only 2/3 the US limit for transport on airplanes! Unacceptable! That's the thing isn't it? You never know with power bank manufacturers if it's the battery capacity at 3.7V or the output capacity at 5.0V that is actually in the specification when they use mAh. They should instead use the actual Wh capacity so consumers would have a realistic chance of knowing what they get. I have not come across a power bank manufacturer provides only one number and that number is not the 3.7V rated battery capacity. Sometimes they add a 5V output capacity, but that is pretty rare. If you see only one number, assume 3.7" and you are okay almost always. I like how despite being close to an inch thick, the phone still somehow apparently needs to have a camera bump and is apparently still "too thin" to have a headphone jack. its a popup camera, and the purpose is to maximize screen size without sacrificing a selfie camera. It will stow away cleanly when not in use, so I don't think that's such a big deal. ""the best option has often been to pair a thin smartphone with a battery case in order to make up for the difference"